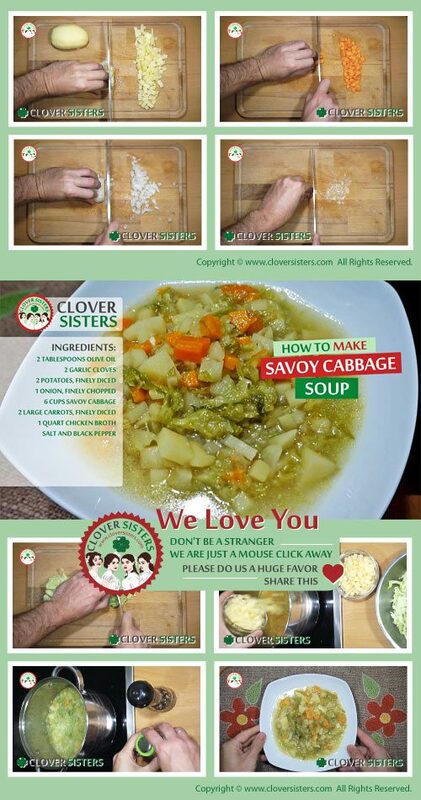 This wonderful, quick, delicious, and nutritious savoy cabbage soup will delight your taste buds and warm you on a cold winter night. In a large soup pot heat 2 tablespoons olive oil, add the garlic, onion, carrots and cook until soft. Add the chicken broth, water, potatoes and savoy cabbage. 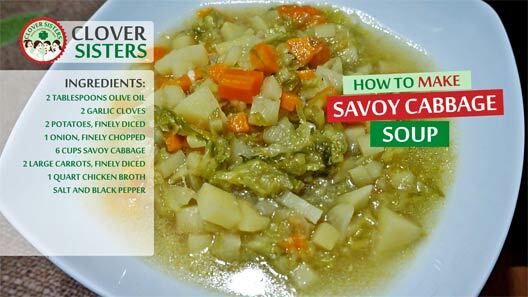 Simmer soup for about 20 minutes, reduce heat and cook 10 minutes longer until potatoes are tender and cooked. Season with salt and pepper to taste and garnish with mint leaves.